Sylvia Hodek-Flückiger obtained a diploma in theology and religious education studies from the University of Graz (Karl-Franzens-Universität in Austria) and later, during her correspondence courses, she set a focus on feminist theology. 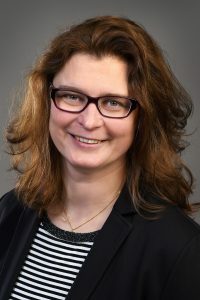 Her activities at the Chair of Pastoral Theology of the University of Fribourg and at the Swiss Pastoral Sociological Institute (SPI) allowed her to gain diverse professional experience in empirical social research and teaching. In diversity, she focuses on topics like gender, migration and people with health-related impairments. At the CCDI, she supports the various projects, lectures, workshops and the St. Gallen Diversity Benchmarking in the areas of research, data editing, communication, reporting and event management. Since 2013, she has been responsible for communication and events in her position as assistant of the direction of the association “Diversity-Controlling”.